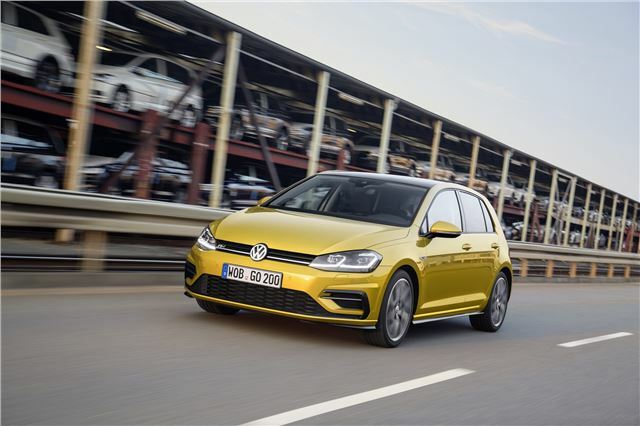 Volkswagen has shown the latest version of its iconic family hatchback, the Golf. It’s an update of the current model - the seventh generation since 1974, should you care – and you wouldn’t be alone in looking at it and thinking ‘what’s the difference’? But there are many - and some of them are very significant changes. Our top 10 takes you through everything you need to know. Apart from prices. Volkswagen hasn’t announced those yet, and probably won’t until early 2017. It’s officially on sale in early 2017, which means Volkswagen starts building the first of the new breed of Golfs then. That means you’ll see the first cars on the road in April. If you’re desperate for one, there’s nothing stopping you from heading to a Volkswagen dealer and registering interest today, though you’ll not be able to order one because prices and UK specifications haven’t been finalised. Golfs are overrated rubbish and are trading on their reputation of the past .the mk2 golf was one of the best cars ever made after that it was all downhill .ford are where vow used to be . All cars have different levels of fan's and critics, granted Ford are popular with certain people while also built differently. Heres a test, listen to the sound of a Golf door or boot shutting, then listen to the crashing free wheeling loose bits that echo in your ears when shutting the boot or door of a Ford, any Ford. No comparison, if you dont like VW's, simply dont buy one, but be prepared to be corrected with your generalisations. VW, BMW, Audi are all made with emphasis on quality, without the need for multiple angles, surfaces, grooves and cheapness that make Ford so popular with people who have only got a limited budget, or who think Ford are reminiscent of times long past. Fair comment, the interior quality of VW group cars, even the SEATs and Skodas, these days, is great and refinement is one of their biggest appeals. However, under the bonnet it seems to be a different story; just head to the Good & Bad section of the VW Golf reviews on this website for the last 3 generations of Golfs. All, even the Mk7 whose oldest cars on the road are under 4 years old, have lost stars from their review due to mechanical or electrical problems. Years ago, Fords and Vauxhalls were rubbish and BMW's, Audis and Volkswagens were far better. Over the years, the former have improved greatly whereas the latter have been mass produced and suffer considerable problems ( plenty unbiased reviews). The cost of running BMW's etc is considerable, and they are no longer as reliable as claimed. In short, they are over-rated by those with scant mechanical knowledge. I have run and maintained Vauxhalls (Cavaliers, Astras and Corsas) for years and have had no major problems with any of them. If you want a "quality" marque and badge you will certainly pay through the nose for it. Batteries charging only on the overrun? Hugh! I bought a new one, a ' Match' , petrol 1.4 in October 2014 , and kept it until April this year. It did everything fairly well , was reasonably quick and economical but had too much gadgetry for my liking. The electronic handbrake is just a pointless gimmick , and the start stop system only works when it feels like it. The worst part is it's so dull to look at and bland to drive. I got back to having a bit of fun and bought one of the new 1.5 Mazda MX 5s .